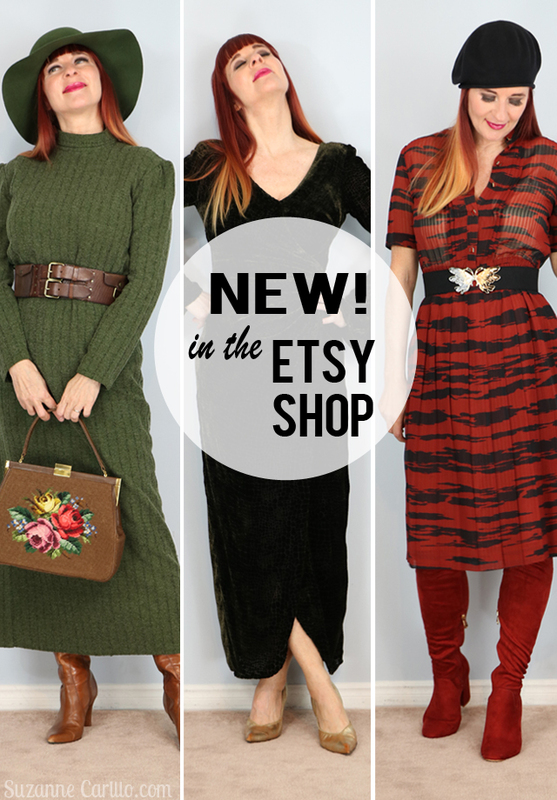 I’ve been updating my Etsy shop a couple times a week and I’m excited to share some of the great fall pieces I’ve found. 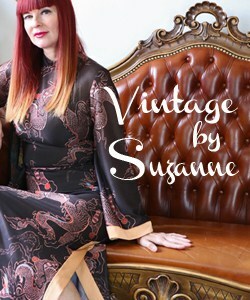 Lots of wonderful vintage dresses! This corduroy dress is cool because it could also be worn as a coat. Isn’t the colour fantastic? Classic 1970s with a fun animal print. Pleats are always in style. This 1940s cheongsam is in excellent shape considering the age. 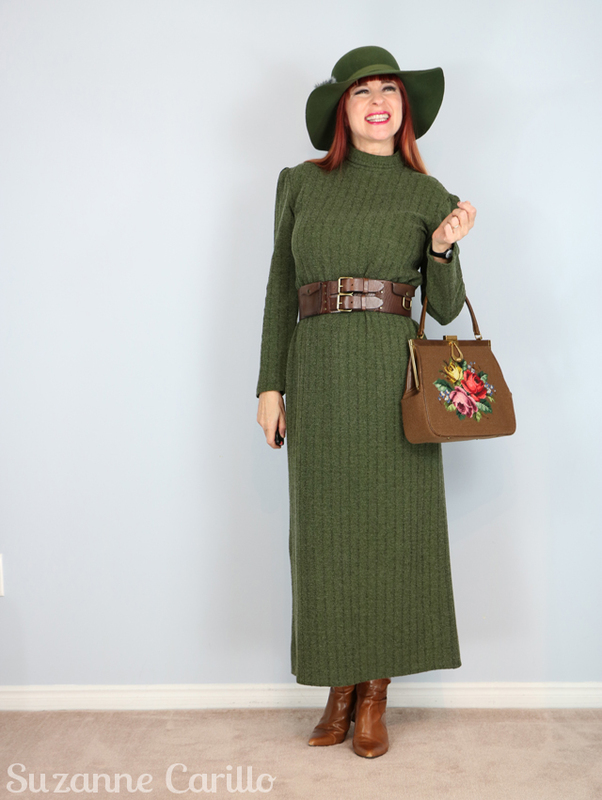 If this cozy green Goddess dress were my size I’d be very tempted to keep it. 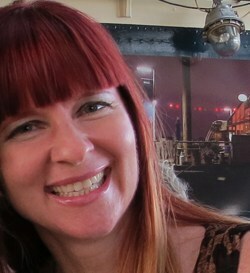 See how the shoulder seams are sitting well off my shoulders? No bueno, a telltale sign that it is too large. 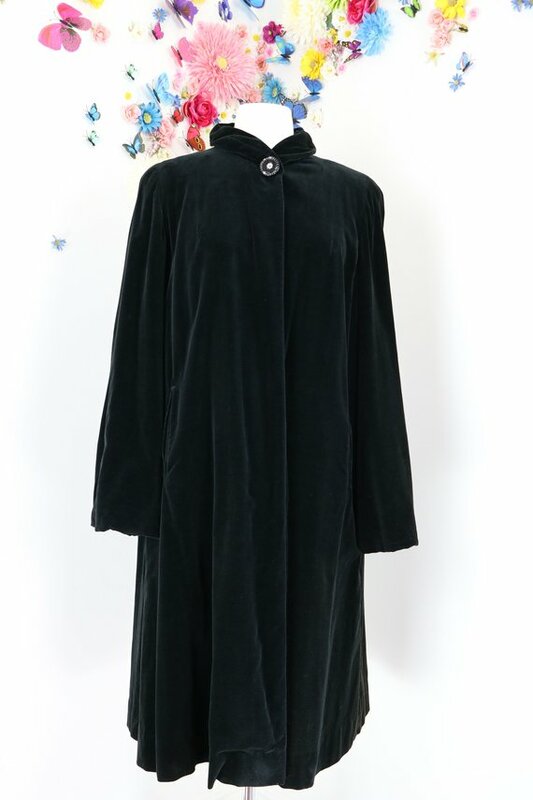 This Holt Renfrew textured silk velvet dress has bell sleeves and a curved front slit, some wonderfully flattering design details. I’m a sucker for a high quality, well made sweater dress. This one is by Spanner, a fantastic Canadian company known for knits. I have a green knit dress by them for sale as well here. This cute orange 1960s dress is also a knit. It has a wonderfully unique inverse scalloped waistline that is difficult to see in this photo. Panels are sewn together to create it. So Agent 99! 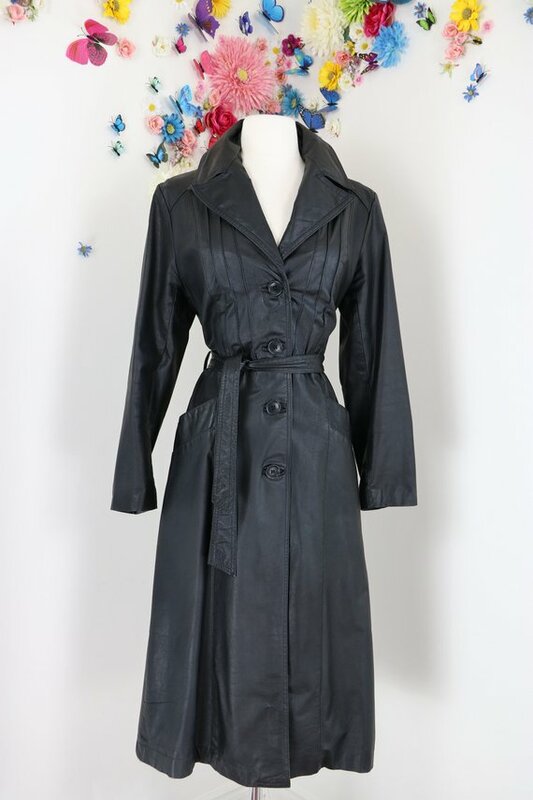 I’ve also been updating some of the coats and jackets. 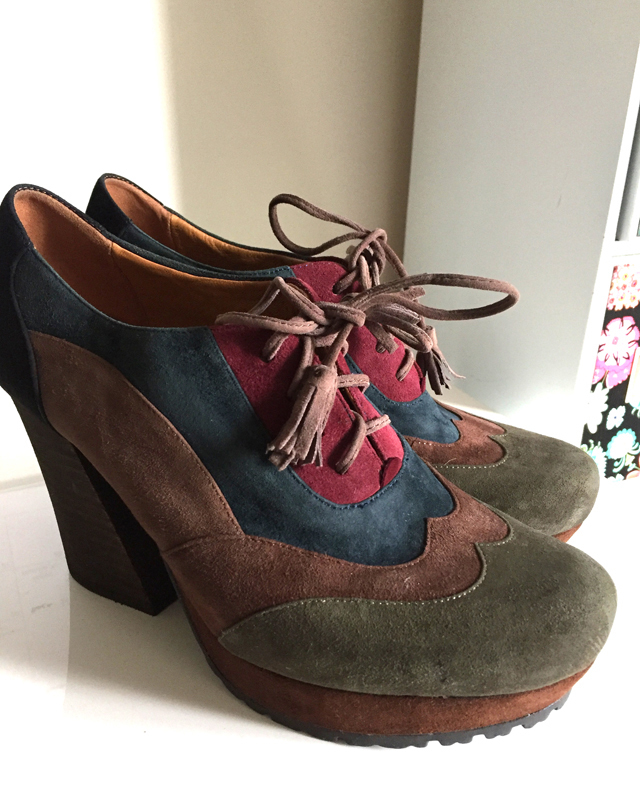 I have to share another shot of these amazing shoes that I recently thrifted for Fall …aren’t they sweet? They are by a company I’d never heard of called Earth Shoes. They are surprisingly comfortable and very well made. Added bonus…they make me about three inches taller without the pain! Here are some of their booties, some currently on sale, that are very cool…I really like the patchwork ones. 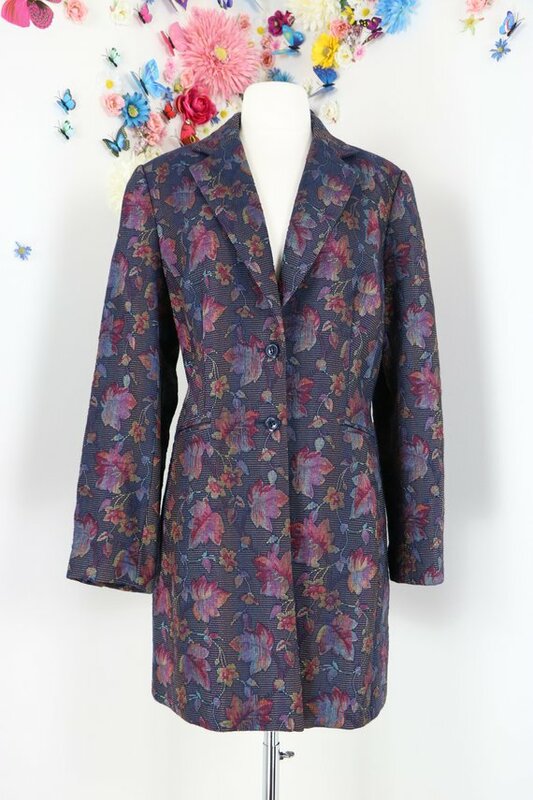 Which one of my vintage pieces was your favourite? Are you planning on adding anything to your wardrobe this fall? 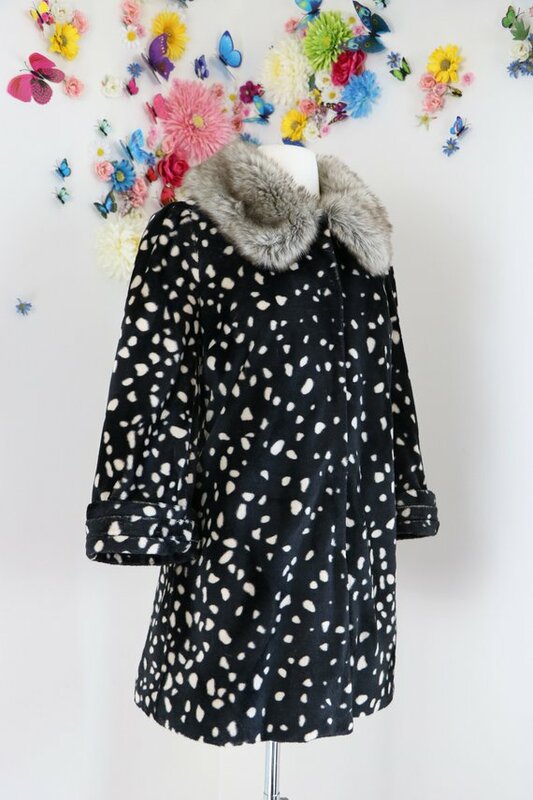 That spotted fur coat is nothing less than fabulous!!! I may have to venture over to see if it needs to be in my closet!! Those shoes are a great find – heels that are comfortable are as scarce as hen’s teeth (as my grandmother used to say). The 70’s animal print dress and the orange go-go dress look so nice on you – are you suuuuuuuure you don’t want to keep them? The velvet Holt Renfrew one hugs your curves beautifully. 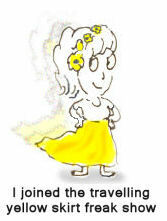 We need to have more places to go where we can get dressed up! Ha ha! I’ve kept a few other pieces that I haven’t shown on the blog yet. The temptation is too great! I agree…we totally need to go to places where we dress up more often. Oh, that second dress is adorable. And I just realized that orange looks great against your hair-color. Yes, I’m a huge fan of orange since I dyed my hair red. That cheongsam dress would fly off my rails in that size – very unusual to find something pretty from the 1940s in a larger size here in the UK where everyone lived on rations and had teeny tiny waists! I agree. I find it harder to find larger sizes for anything earlier than the 60s. I thought the same thing about these shoes when I spotted them. They look like they were barely worn. I’m loving the large, leafy, waistcoat!! I got very excited to see that the size would work for my linebacker shoulders and arms of an ape. I almost bought it and then balked at the shipping costs! Yikes!! If you decide to reduce the price later in the season please let me know. I’m sure it’ll sell white soon however. I’m quite familiar with Earth brand shoes. The orthotic design was created by a female Scandinavian Yoga instructor named Kalso They were HUGE in the 70’s. They’re sold on QVC and of course in brick & mortar stores as well. The pair you found are beautiful. That is very interesting about Earth shoes. I had no idea they were established so many years ago. Yes, shipping from Canada is pricey and of course I have no control over that. It is worse because of the weight and size of the coat. You are lucky in the US with very low shipping costs within the US. Whenever I order anything from the States online shipping is crazy high, much more so than shipping from Canada to the US. It is a great deterrent for wanting to purchase anything from the US though. Aren’t they great? I’m just delighted they fit and are comfy. Wow, so many lovely and precious vintage dresses! And the embroidered bag looks nice. Have a good week, beauty! I love those Earth Shoes Suzanne. I always like to see what you have on offer and to test myself and my resolve. My summer to winter closet changeover is on the horizon and so I’m on a bit of a mission to downsize currently as this is always a challenge to see if everything will fit in for another year. Good luck with your selling! Don’t I know that concern? Ha! Probably one of the reasons I always put off switching the wardrobe over until the very last minute. I hate to think that the remainder of my life will be focused around wondering which clothes I can fit into. That is when lycra takes over. Thanks Janice. It was also my favourite. You have been BUSY!! Amazing finds, Suzanne. I adore the photos of you in the red dresses. You have willpower of steel not to keep them. I remember Earth shoes, the sole was elevated towards the toe and they felt weird when you walk, a good weird. I didn’t know they made shoes like those platforms too. Your store is flourishing! Hurray!! Hard work and passion at play. I don’t know if they still have those reverse soles anymore. All the ones I looked at online looked regular. They do have a great arch support inside which is another reason I find them so comfy. You have many great pieces. Really good. Won’t be difficult to sell. Especially that long red knitted dress. I think you and I love the sweater dresses more than others. I have a few in the store and they aren’t fast movers. It is always the traditional fit and flare dress that moves the quickest. What a compelling number of beautiful items that you have recently acquired. I love the spotted coat and tapestry jacket. The green velvet dress is also a stunner. Of course you have a green hat to match that dress! LOL!